Sounds cool, doesn’t it? Stower’s Doctrine. Its got moxy. The Stowers Doctrine is as Texan as they come. From the Stowers Doctrine flows the Stowers Demand, a powerful settlement tool in personal injury practice. 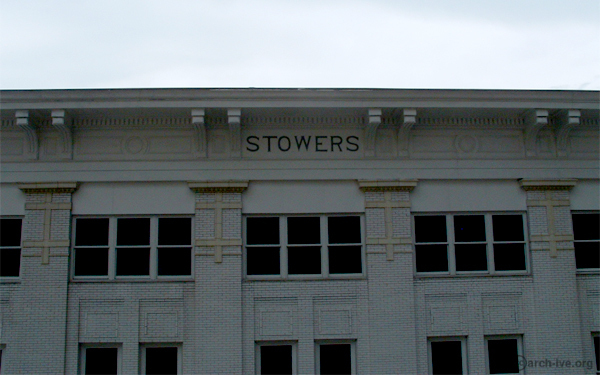 But what is a Stowers Demand, exactly? Where does it come from? What does it do? Well, ask any attorney who deals with insurance companies on a regular basis and they will tell you it is a lifeblood of a personal injury practice. In our practice here in the Forney, Rockwall and Dallas area, once damages have been reasonably calculated, we always send a Stowers Demand to the insurance company. It is quite possibly the single most powerful pre-trial tool a personal injury attorney has to maximize settlement dollars for their client. 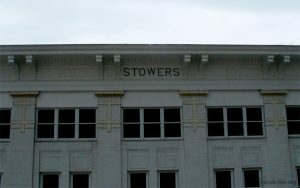 What is a Stowers Demand? It may be easier to talk about what a Stowers Demand is before we get into any other particulars. A Stowers Demand is a settlement offer sent from the injured party to an insurance company that is reasonable and within the policy limits. It must also provide for a full release of liability for the insured party. The insurance company will then be provided 30 days to accept or reject the offer. What is the Stowers Doctrine and What Effect Does it Have on the Insurance Company? The Stowers Doctrine from which the Stowers Demand originates comes from a 1929 Texas Commission of Appeals case of G.A. Stowers Furniture Co. v. American Indem. Co., 15 S.W.2d 544 (Tex. Comm’n App. 1929). Yeah, you heard that correctly, a Commission of Appeals case- that means its pretty old. Just because its getting old, does not mean it isn’t a golden-oldie. From the Stowers case came the “Stowers Doctrine”. The Stowers Doctrine provides that if the insurer unreasonably rejects a good pretrial settlement offer that was within policy limits, then they may find themselves in some hot-water with their insured if they lose big at trial. Under all liability insurance contract in the state of Texas, a liability insurer who undertakes the defense of an insured thereby has a duty to act in good faith in settling a liability claim. Courts since this case was handed down have interpreted the insurer’s “duty to defend” language in a standard insurance policy as giving liability insurers “absolute control” over the conduct of the defense. This means that whether or not to settle a liability claim is completely within the discretion of the insurer. Prior to Stowers, if the injured party made a pretrial offer to settle a their claim for an amount that is within the policy limit, the insurer was not obligated to accept the offer and has the contractual right to take the claim to trial. However, to protect insureds from abusive practices, since the Stowers judgment, courts in Texas now impose an “extra-contractual duty” on insurers to act in good faith when assessing and rejecting pretrial settlement offers that are within policy limits. The effect of this “duty of good faith” is that if the insurance company makes the unwise choice of rejecting a reasonable settlement offer that is within policy limits and they lose big at trial, then they may be liable for the entire jury award, even one that is above contractual policy limits. What Does all This Mean for Victim’s and the People the Insurance Company Insures? The easiest way to explain this is with a hypothetical. Lets say there is an injured party who has $50,000 in actual damages and lost wages. To cover pain and suffering, etc.. they ask for $75,000 in a Stowers Demand to an insurer who’s insured has a policy maximum of $100,000. The insurance company rejects the offer and it goes to trial. At trial the insurance company loses and the jury awards the injured party $150,000. This means that the insurance company will be liable not only for the $100,000 under the policy but also for the extra $50,000. Why? because they rejected a reasonable settlement offer that was within policy limits. As the insurer who has accepted their duty to defend, and taken on “extra-contractual” duties by fully controlling the insured’s defense, they have a duty to limit the insured’s exposure to excess judgments. What Would It Be Like Without Stowers? In our hypothetical, the if the Stowers Doctrine were not available, the insured would have been on the hook for the extra $50,000 and the insurance company would have no incentive to pay the extra amount. Additionally, it creates no incentives for the insurance company to settle within policy limits because they know how much they would be limited to paying at trial. They would only be paying policy limits and their insured would be on the hook for the rest. Sorry, policyholder, we tried (kinda tried, anway). Have a good day!…..That isn’t fair to the insured. It is not fair because the insurance company basically says that the insured can’t take part in their defense, and then leaves them high-and-dry for $50,000 when they failed to settle for an amount where the insured would have paid nothing. The Stowers Doctrine says that under those circumstances, the insurance company was in a better position to protect themselves and the insured from the excess judgment, and their failure to do so means they fall on the sword, not the insured. But a Stowers demand is just the kick-starter. What many personal injury plaintiffs have done is assigned their rights to sue the injured party for the additional $50,000 for the insured’s right (you heard that right, the person who got sued now has an action against the insurer!) for failure to settle in good faith. Under these circumstances, it can be a violation of the insurance code’s duty to settle in good faith once liability is “reasonably clear”, may provide for a “bad faith” claim, as well as multiple claims under the DTPA. Those claims open the insurer up to much larger liability than the $50,000 judgment (DTPA alone can provide for mental anguish damages and up to 3X the damages if done knowingly, and up to 3X damages + 3X mental anguishes damages if done intentionally). So a $50,000 judgment may turn into several hundred thousand dollars when it is all said and done. What Has Been the Effect of the Stowers Doctrine in Texas? Well, first of all, did you see how that snowballed on the insurance company? Well, situations like that have become rare. In the years since the case was handed down, insurance companies have adapted to the new legal environment. Insurance companies are almost always willing to settle as long as liability has become clear. In actual practice, this means that sending a Stowers Demand does not mean that the insurance company will settle for the amount in the initial demand. But what it will do is open the door for negotiations and hopefully lead to a fair settlement. Overall, the Stowers Doctrine is good for personal injury victims and good for the public, as well. It helps to keep insurance companies honest… well, as honest as the law can keep them. Because of this, if you are injured in an accident, rest assured that your attorney is going to take advantage of this legal tool in order to maximize your settlement with the insurance company. For more information, or if you are seeking legal advice, give us a call at (972) 564-4644.